Hand-crafted using artisanal processes, the Form Zip Pouf by Rugiano Interiors is the ultimate accessory for your sofa or armchair. Change the character and feel of the pouf with the choice of upholstery. Create a bespoke design from smooth leather, velvet or textured suede. Form can also be realised with contrasting materials and Rugiano’s signature quilted fabric. Choose from cube, rectangular or cylindrical designs to suit the style of your living room scheme. Available in a range of sizes to complement the scale of your sofa or armchair. 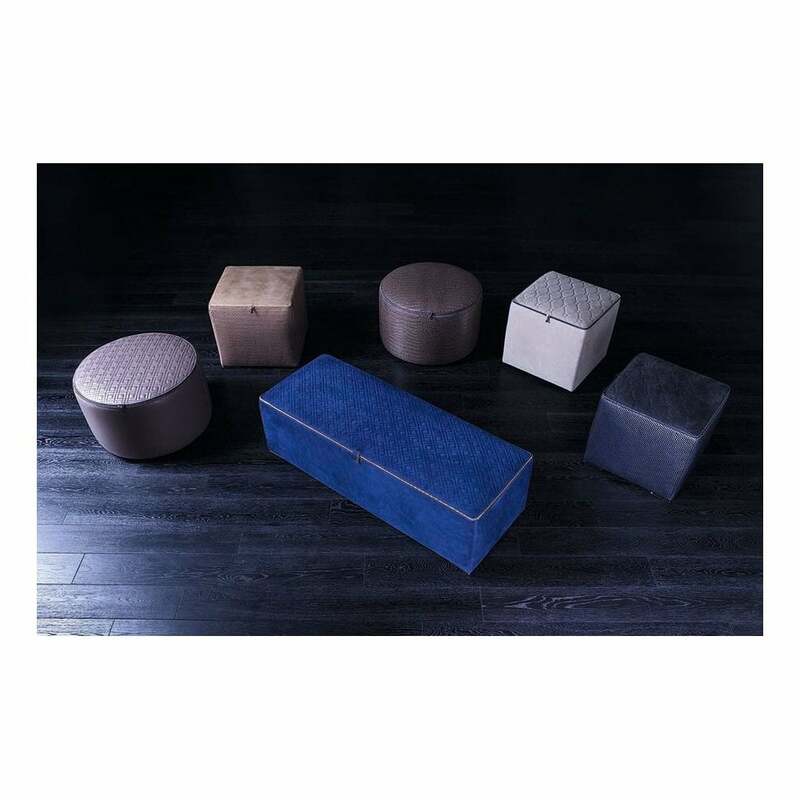 Each pouf is adorned with a zip, elegant hand-stitched embroidery and a steel or bronze base. Samples are available upon request. Make an enquiry for more information.